Be our hero! Seattle JazzED is seeking new and used musical instruments and equipment in good working order, including accessories like cases, reeds, etc. 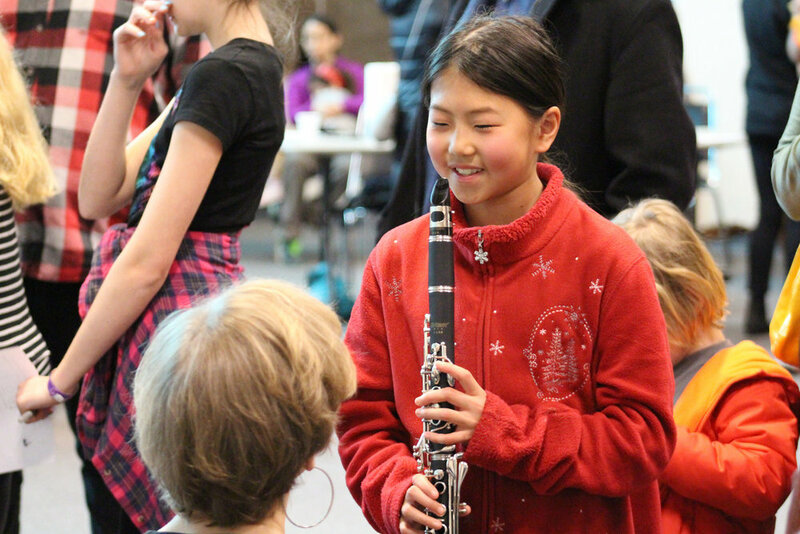 Donated instruments are inspected, refurbished, and placed in the hands of students who need them the most. Instruments that do not meet the quality standard needed to be refurbished or are not in high need will be sold on our eBay Charity Page, where 100% of all funds collected will be used to maintain, repair, and buy new instruments. Your donation is tax-deductible. We will prepare an in-kind donation tax receipt based on your estimated value of the items. Ready to donate? Or have questions that you want answered first? Email Ricardo Luna at ricardo@seattlejazzed.org or call 206.324.JAZZ to schedule your instrument donation drop off. Kudos: 2017 National Jazz Hero Award from Jazz Journalists Association, 2015 Seattle Mayor's Arts Award, 2014 Golden Ear Award from Earshot Jazz. We were founded in 2010 with one simple mission: Make sure every young person who comes through our doors gets an excellent music education. Our goal? Every JazzED student will experience the life-changing magic of teamwork, accountability, confidence, and empowerment that comes from a dedicated education in the quintessentially Black American art form that is Jazz.